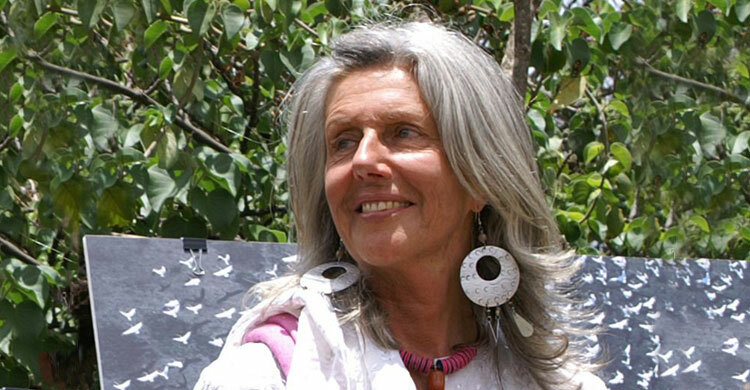 Bonn, 24 April 2017 – Staff at the Secretariats of CMS and AEWA were deeply shocked to learn of the attack at the weekend on Kuki Gallmann, who was shot and severely wounded by armed intruders on her estate Ol ari Nyiro in Laikipia, Kenya. Ms Gallmann, a noted conservationist and author, whose autobiographical work “I Dreamed of Africa” was made into a film in 2000 starring Kim Basinger, was the first person to be appointed a “CMS Ambassador”. “Wings”, the first ever event held under the auspices of World Migratory Bird Day was hosted by Kuki at her estate in 2006 and brought together dancers, musicians and conservationists in a celebration of avian wildlife. The attack on Ms Gallmann’s person comes only weeks after a safari lodge on her estate was set on fire and destroyed, just one of a series of violent incidents that have occurred recently in drought-stricken rural Kenya.